Let’s settle this once and for all. Which came first the chicken or the egg? Answer: who cares when you can have both at the same time? 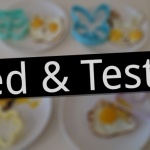 We tested out the Egg-A-Matic chick egg mould which is the best of both worlds! 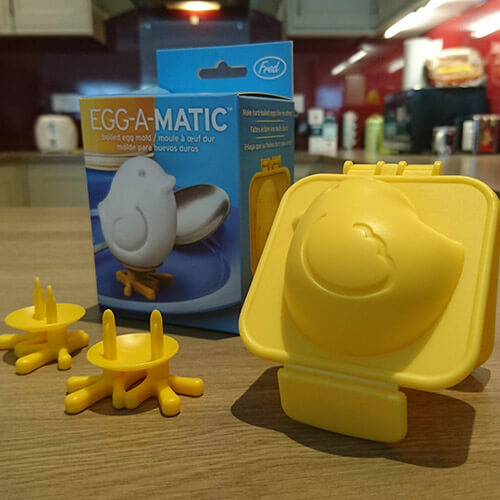 What is an Egg-A-Matic chick egg mould when it’s at home we hear you ask? 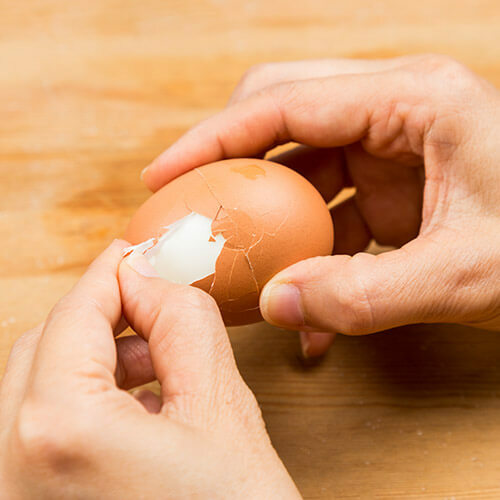 Well, it’s a little gadget that you pop your hardboiled egg into that will change its shape forever and change the way you view hardboiled eggs forever too. 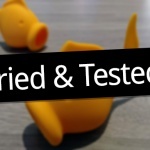 Here’s how we got on when we tried the mould out. 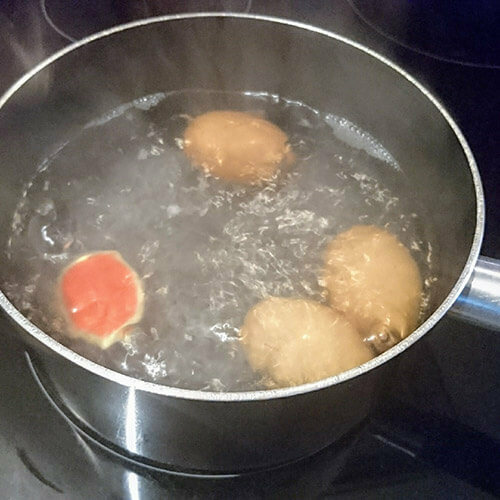 We boiled a couple of eggs just in case we messed up our first attempt. Or our second. Hand on heart though, we actually got it right first time as the mould was pretty foolproof to use. 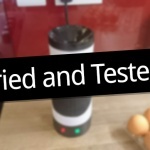 Please note also the handy colour changing egg timer boiling away with our eggs letting us know when they’re cooked. 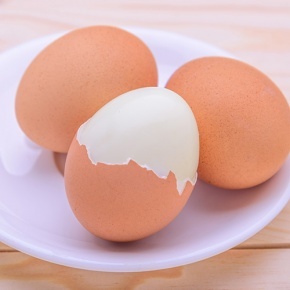 You may want to let your egg cool a little first and run it under cold water as you peel it. Otherwise, you could burn your hands – not ideal! Squeeze the mould shut until you can close the clasp. You may get a little bit of egg squeeze out of the sides of the mould as you do so. Don’t worry, that’s normal. Cool the egg in ice water or in the fridge, then snap open the mould and take it out. Voila! 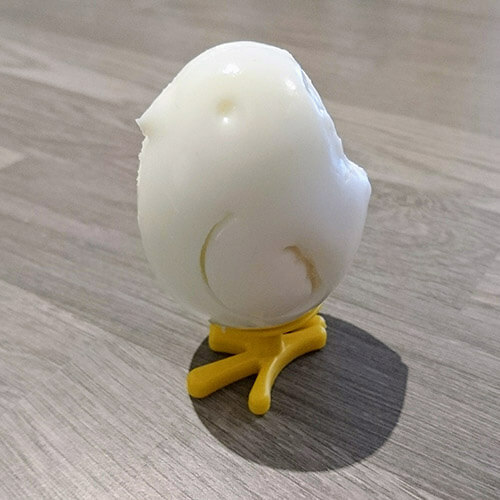 One egg shaped like a chick. Our work here is done. We used large eggs – medium ones may not work as well as they probably wouldn’t be big enough to fill the mould. 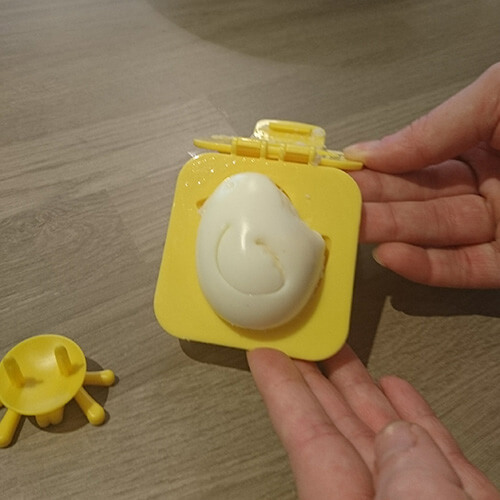 Make sure the clasp is done up tight when you put your egg into the mould. Otherwise, it could ping open leaving you with some kind of hideous half deformed chick. Gross. The mould comes with two sets of feet so you can make two chicks and avoid squabbling grown-ups kids. In the words of Mr Burns, “Egg-cellent”. Okay, we paraphrased a little. 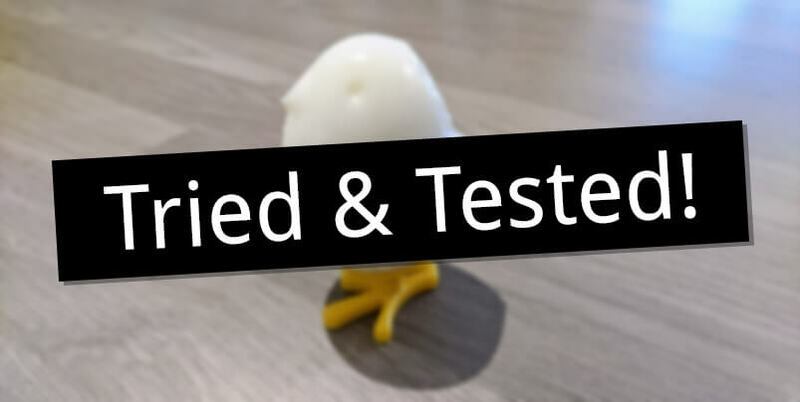 Before testing the chick egg mould out we were sceptical to be completely honest (partly due to our own skills), but we were very pleasantly surprised by the results! 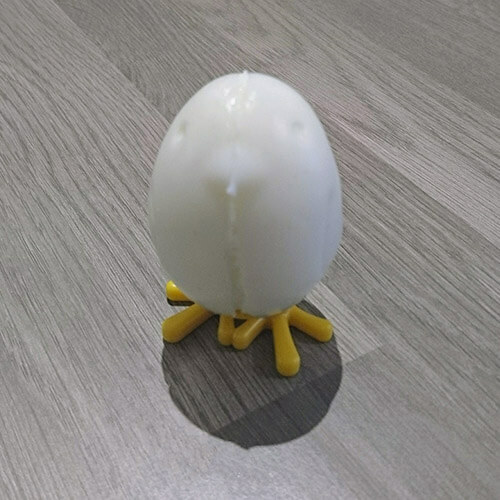 Our chick isn’t quite as perfect as the one on the box, but we love it all the more for its imperfections. Plus the box one was definitely Photoshopped. Just saying.